Over the past decade, there have been three constants in life: death, taxes and Marvel movies. Upgrading the number of releases from the previous year, the Marvel Cinematic Universe produced three critically-acclaimed films in 2017. This doesn’t even include Fox’s Logan, which recently received an Academy Award nomination. With this much success, Marvel, Sony and Fox have packed their schedules full again, showing no signs of slowing down. And, honestly, why would they? Below are the Marvel live-action projects that have been announced and confirmed. We will routinely update this page as more information is released. The once-upcoming Marvel movie, Silver and Black, has been shelved and the two characters are now scheduled to have their own standalone projects. It's still well worth investing in these two books -- if anything it would be an improvement for each character to appear in their own movie. The New Mutants hopes to make fans scream for more in a whole new way. Dubbed "more like The Shining" than a superhero movie, Fox seeks to break new ground by tapping into an unused sub-genre: horror. The horrific upcoming Marvel movie will follow five teenagers who discover new powers. They must use these abilities to escape a secret facility where the group is being held captive. As Fox’s core X-heroes age, it makes sense to introduce a new, younger generation of mutants. As if the film isn’t scary enough already, The New Mutants shifting release date is even more terrifying. Despite finishing production, the premiere has been delayed again. With a new date, it’s unclear if it will be impacted by the Fox-Disney deal. The team, which includes Magik, Wolfsbane, Cannonball, Sunspot and Mirage, has been delayed, again. 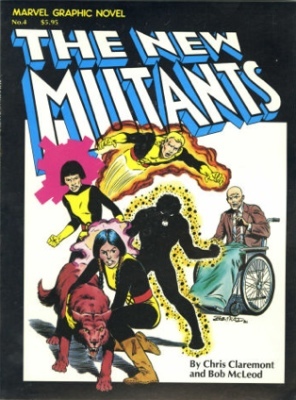 See our New Mutants comics price guide for more info. Captain Marvel is officially reporting for duty. 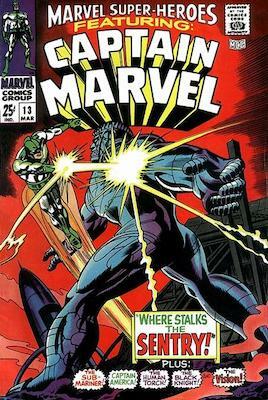 Marvel Superheroes 13 is the first appearance of Carol Danvers. It's on our 100 Hot Comics list. Click for more! She makes her solo debut before the Avengers: Endgame release. This is one of the most anticipated upcoming Marvel movies for years! She derives her powers from an alien race, but ironically, Captain Marvel is reported to be an earthbound adventure. An origin story set in the 1990s, our title heroine will face the Skrull aliens, who are also making their film debut. Nick Fury returns to action as well (with both eyes intact). While fans are excited to see how Fury earns his eye patch, it looks like this movie will also chronicle most of the Captain Marvel lineage. Carol Danvers is the most recent to carry the “Captain Marvel” title, but she isn’t the first. Mar-Vell, the original, is rumored to appear. Monica Rambeau is also expected to play a role. Since her start in Amazing Spider-Man Annual #16 (December, 1982), Rambeau becomes the second Captain Marvel and later joins the Avengers, using multiple aliases over the years. We’ve waited this long to see Thanos in action. We might as well wait another year to see how it ends. One full year after it begins, the MCU’s two-movie Infinity War story will conclude with this upcoming Marvel movie spectacular. It’s anticipated to be a fitting finale full of universe-altering repercussions. But, truth is, we don’t really know yet. Snap your fingers! Part Two will feature the same ensemble cast (even if some of these characters didn't survive their initial rumble with Thanos). Brothers Anthony and Joe Russo, now mainstays within the MCU, are onboard to write and direct once again. The deck seems to be stacked against Gambit. The upcoming Fox film has continuously been dealt one devastating blow after another. First, its release date was pushed back to this year. Then, the movie lost its director, marking the third time the studio must find a new leader. Now, production has been put on hold yet again. There isn’t any word when (or if) the project will resume. The good news is that actor Channing Tatum remains committed. The current plot finds Remy Lebeau (played by Tatum) on trial in his hometown of New Orleans. 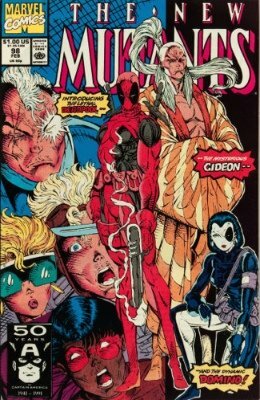 Using flashbacks, the film travels back 25 years to highlight the character’s transformation from an orphaned mutant to the master thief known as Gambit. 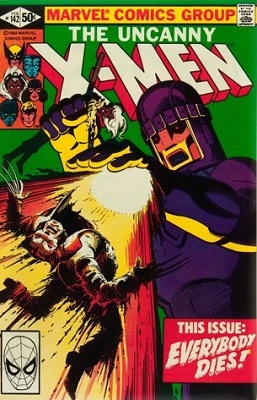 In the comics, Lebeau first appears in Uncanny X-Men #266 (August, 1990). Spider-Man’s second solo trip into the MCU won’t be a “homecoming” this time around. 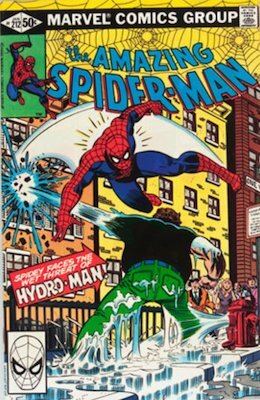 Confirmed antagonists include Hydro-Man (first appearance Amazing Spider-Man #212) and Mysterio (first appearance in Amazing Spider-Man #13). Set after both Infinity War movies, Marvel’s President Kevin Feige has confirmed this story will show the fallout of these events from Parker’s perspective. 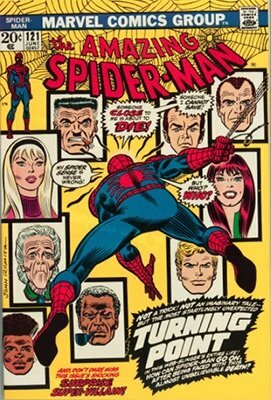 This sequel can also pull on several threads set up by the first feature, including Spider-Man’s uncertain status with the Avengers team. This upcoming Marvel movie was strongly predicted to include the Scorpion from Amazing Spider-Man #20, yet there is no confirmation of this. The ruler of Wakanda just so happens to be the king of ticket sales as well. Two weeks before its release, Black Panther already sits upon the throne, selling more advanced tickets than any superhero movie to date. Anticipation for this upcoming Marvel movie has been brewing since the early 1990s, when Marvel started developing a movie around the character. Decades later, the Black Panther finally clawed his way onto the big screen in Captain America: Civil War. The 18th film in the Marvel Cinematic Universe, this story will introduce fans to the secluded, yet technologically-superior Wakanda. 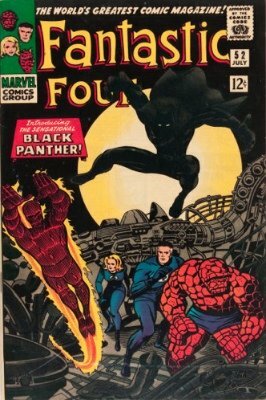 T’Challa returns to this African nation to assume his rightful place as king following his father’s death. However, a challenger soon appears from within his own country, testing T’Challa’s power as both king and as the Black Panther. He must unite with some powerful allies in order to save his own people from the threat of war. It feels like fans have waited an eternity (infinity?) to see Thanos in action. After six years, the mad Titan will finally emerge from the cosmic shadows, seizing his share of the spotlight. The purple tyrant sets out to collect all six Infinity stones. Since the beginning of the MCU, these powerful gems have been woven into multiple stories. Now, Thanos will attempt to unite them all, unleashing unimaginable consequences. The Avengers must face this gauntlet. But, it proves to be too large of a threat to handle alone. The team must reach out to their intergalactic companions for backup. This film begins an epic, two-part crossover that brings together virtually every MCU hero so far. Although there is a comic storyline by the same name, this upcoming Marvel movie will likely draw its inspiration from the classic Infinity Gauntlet mini-series. The Merc with a Mouth couldn’t quite keep it PG-13 last time, and it paid off. Many were skeptical when the first Deadpool upcoming Marvel movie debuted in 2016 with an R rating. Yet, it went on to become the second highest-grossing R-rated film of all time. There’s no need to change the formula this time around. Still disfigured and even more disturbed, Deadpool is back again to crack some skulls... and some jokes. For an upcoming Marvel movie that’s being released this year, there is surprisingly little information about its plot. We do know that Josh Brolin will be introduced as Cable (because already playing Thanos this year just isn’t enough). 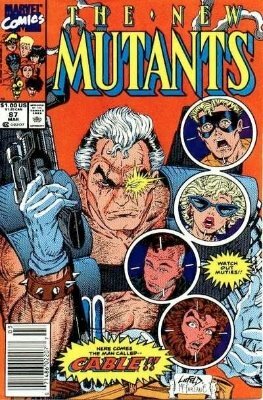 Cable has one of the most complicated backstories to explain. While Deadpool will undoubtedly poke fun at this, Cable is often the killjoy "straight man" to our lead character’s shenanigans. This installment has the makings of a buddy comedy that sets the stage for a potential X-Force team-up in the future. The MCU’s smallest character continues to deliver big. The newest Ant-Man broke out in a major way in his first solo outing. 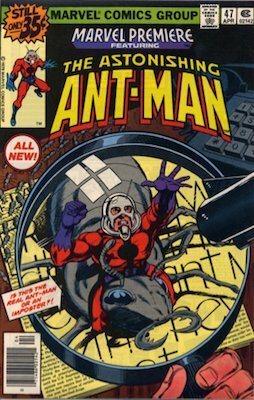 The first Ant-Man movie focused mostly on a heist organized by Hank Pym, the original Ant-Man, but it was Scott Lang who really stole the show. Despite receiving less hype than the other upcoming Marvel movies premiering this year, Ant-Man and the Wasp still has plenty of buzz. As the name implies, the latest Wasp, Hope van Dyne, has gone from a brief, end-credits cameo to a full-fledged title character. Together, the two must learn to fight alongside one another to uncover secrets from their past. Ant-Man’s problems continue to grow, as he juggles being a superhero and father while dealing with the aftermath of both Captain America: Civil War and Infinity War. The recently released first trailer reveals even more details. In addition to this expansive story arc, the franchise will introduce some major characters. The title heroes are expected to travel back to the Quantum Realm to rescue Janet van Dyne. 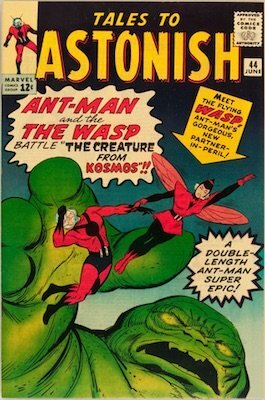 As the original Wasp, founding Avenger, mother of Hope and wife of Hank, Janet first appeared in Tales to Astonish #44 (June, 1963) and remains a key Marvel character. 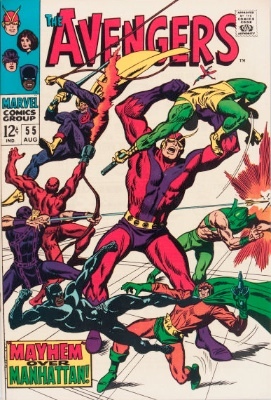 Bill Foster, who debuted in Avengers #32 (September, 1966), will also join the film. 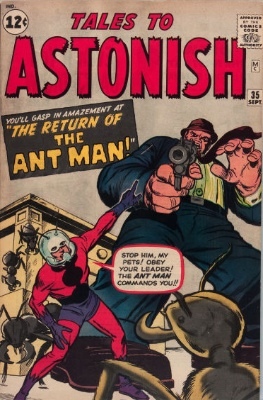 In the comics, he gains powers similar to Hank Pym and later becomes a hero himself. The first Spider-Man spin-off remains mostly in the dark. Donning his iconic black alien symbiote suit, Venom will headline Sony’s own "Spider-verse." Even though filming has wrapped, the available set photos have only shown Tom Hardy’s interpretation of Eddie Brock before he gets his powers. This is about all that’s been confirmed, leaving more questions than answers. Although it was initially expected to be entirely separate from the MCU, Venom is now rumored to feature Spider-Man’s Tom Holland in a cameo. Legendary actor Woody Harrelson has also joined the project, but his role also hasn’t been revealed. Since it looks like Venom will be more anti-hero than villain, Carnage is reported to be the film’s main antagonist. But this is also unconfirmed. Following in the footsteps of Deadpool and Logan, this movie may carry an R rating, which allows creators to explore the darker, more violent material commonly associated with this character. The latest X-Men trilogy may be over before it has even begun. X-Men: Dark Phoenix was set to start a new trilogy series of upcoming Marvel movies. 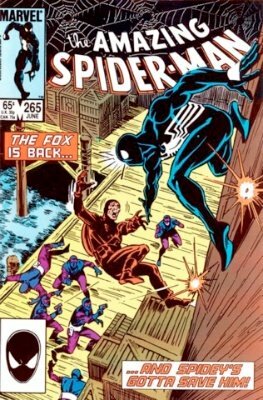 But, the news of the Disney-Fox merger puts this in jeopardy. This film will still be released as the 12th X-Men installment. Yet, it may be the end of the current franchise rather than the beginning. 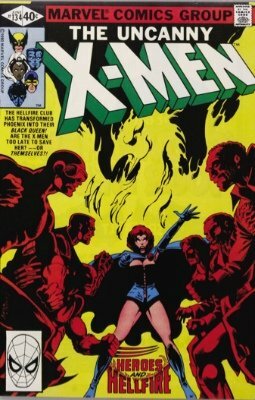 When X-Men: Days of Future Past reset the often-complicated X-Men movie timeline, X-Men: Dark Phoenix was pitched to be a fresh, more faithful adaptation of Chris Claremont’s "The Dark Phoenix Saga." This remains one of the most revered stories in comics’ history. The movie will take place in 1992. Nearly a decade after the X-Men: Apocalypse, the team has risen to national prominence where they receive even more dangerous missions. When a solar flare hits during one of these missions, Jean Grey loses control and uncovers an unstoppable power. 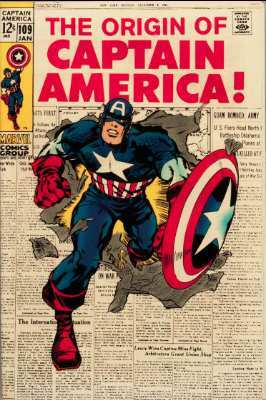 Marvel Comic Books were first adapted into films as early as 1944, when Timely's Captain America was adapted into a serial by Republic Pictures. Over the years since, Marvel comics have been adapted by a number of studios. After Disney's acquisition of Marvel in 2009, they became the primary, but not sole studio devoted to making films based on Marvel characters. 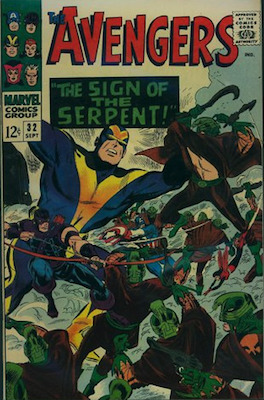 The prices of comic books featuring the primary hero, or villain, and even secondary characters, have sometimes jumped dramatically on mere speculation about movie releases. Recent years have seen tremendous growth in superhero films, thanks in no small part to Marvel's X-Men, Iron Man, and Spider-Man franchises. Since, we've seen Thor, Captain America, the Hulk, and numerous other characters on the big screen, even the Ghost Rider. As of early 2014, Marvel characters are slated to appear in no fewer than eight upcoming films, some in development, some in pre-production, and some in post-production. Four of them are Disney productions, three are coming out of Fox, and one from Columbia. Some will continue or reboot old franchises, while others will explore new territory and perhaps create new franchises. Marvel Comics-connected films seem to be an unstoppable force in the industry, leaving DC far behind. We'll explore all of them. We'll also look at those rumors about upcoming Marvel movies, and the vague hints that have been dropped about movie projects on the way from both companies. Click the links to read detailed articles as we add them. Slated for an April 4th, 2014 release is Marvel's Captain America: The Winter Soldier. This will be the second installment in the series starring the Star-Spangled Avenger, and is a sequel to 2011's Captain America: The First Avenger. Like that film, it has a screenplay by Christopher Markus and Stephen McFeely. Anthony and Joe Russo directed Cap this time around, with Chris Evans and Cap, Scarlett Johansson as The Black Widow, Sebastian Stan as Bucky, Anthony Mackie as Falcon, and the always potty-mouthed Samuel L. Jackson reprising his role as Nick Fury. In the movie, Cap and the Black Widow must enlist the aid of Falcon to help them track down an unknown assassin with a vendetta against S.H.I.E.L.D., The Winter Soldier. 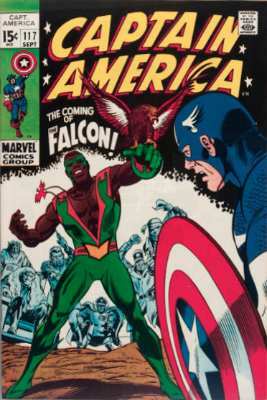 The major beneficiary of The Winter Soldier is the first appearance of The Falcon in Captain America #117 (click for value). 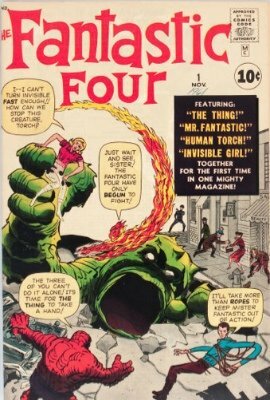 This late Silver Age issue has seen very healthy upticks, especially in mid-grade, since the upcoming Marvel movie was announced. Columbia's The Amazing Spider-Man 2 is due on May 2nd, 2014, as the second feature in the newest Spider-Man franchise since Spidey was rebooted in 2012. In the new series, Andrew Garfield presents a very different Peter Parker than we got from Tobey Maguire's performances in the last series. This Spider-Man is edgier and darker, heading more towards Batman territory than you might expect. 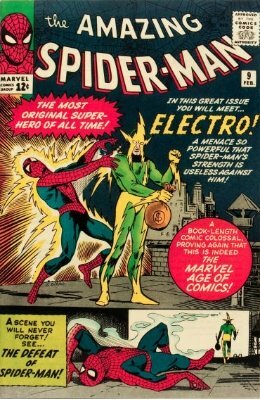 Jamie Foxx co-stars as a radically-redesigned version of one of Spidey's oldest nemeses, Electro, with Paul Giamatti as The Rhino. Marc Webb directed the film, from a screenplay by Alex Kurtzman, Roberto Orci, and Jeff Pinkner. 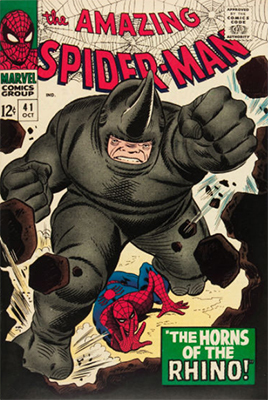 As well as the first appearance of Electro in Amazing Spider-Man #9, which has enjoyed large increases, the first appearance of The Rhino in Amazing Spider-Man #41 has jumped as well. 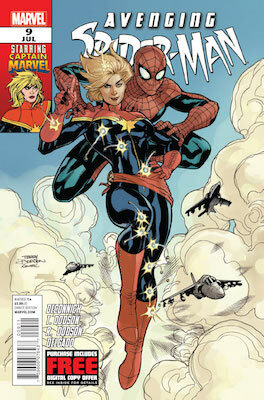 One more book which has been jumping in price since Amazing Spider-Man 2 was announced is Amazing Spider-Man #121. 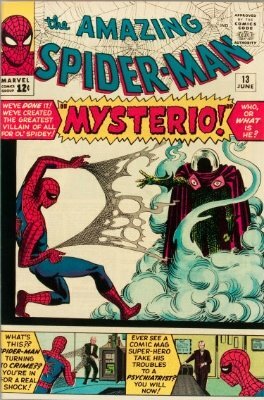 Most collectors know what happens in this issue, but just in case, we have "hidden" the story ending on the image below. Hover your mouse over the cover if you know, or want to know, what happens in the end of the book... and what will happen at the end of the movie! Fox's X-Men franchise also returns in May, on the 23rd, meaning that there will be two movie adaptations of Marvel Comic books competing with each other for late-spring box-office dollars. 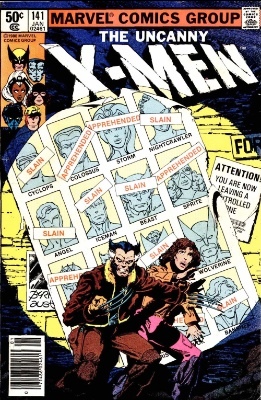 X-Men: Days of Future Past has nothing to do with the Moody Blues and everything to do with the legendary 1981 Chris Claremont/John Byrne Uncanny X-Men story arc of the same name. The film was shot in 3D, and was directed by Brian Singer from a screenplay by Simon Kinberg. Hugh Jackman stars as Wolverine, while both Patrick Stewart and James Macavoy portray Charles Xavier/Professor X at different ages. 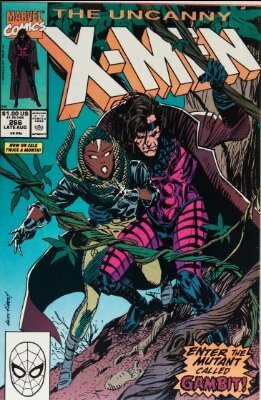 The two comic books which told the original story, Uncanny X-Men #141 and #142, have both increased in value, but have begun to drop off as (a) the movie release date approaches, and (b) more and more copies of these relatively common books have flooded the market. Coming on August 1st, 2014, is a Marvel film that many thought could never happen: Guardians of the Galaxy. 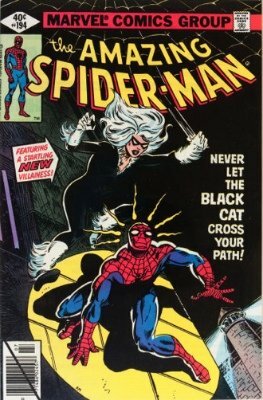 Fans of the 1970s Marvel series may not find much that is familiar here, but they will find a lot of action and science-fiction-style special effects. Chris Pratt stars as Peter Quill, with Zoe Saldana as Gamora, Vin Diesel as Groot, and Bradley Cooper as Rocket. Luckily for Guardians writer/director James Gunn, the late summer release date guarantees there will be no other superhero films out then to compete with. 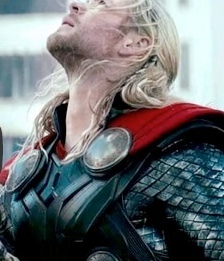 There are no other Marvel films scheduled until 2015, and DC doesn't have another release scheduled until 2016. There are many, many previously disregarded books which have been influenced by this unexpected movie release. Most people would never have dreamed of GOTG being made into a movie, so there was much raiding of dealer dump-bins when it was announced. 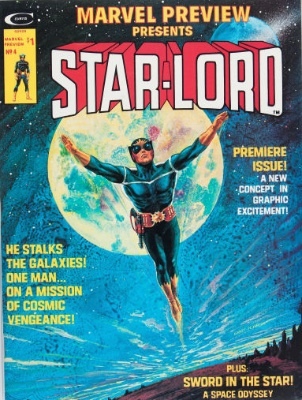 Perhaps the biggest winner was an obscure Marvel magazine-format comic book called Marvel Preview #4, the first appearance of Star-Lord, which certainly in low grades was never in much demand. 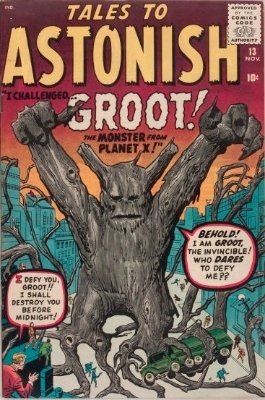 Another major upturn was enjoyed by owners of a quite scarce pre-superhero comic, Tales to Astonish #13, which saw the first appearance of Groot. 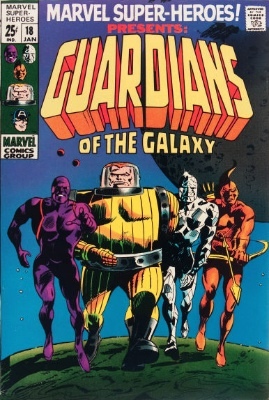 But there are lots of other late Silver and Bronze Age comic books which have increased in value, including Marvel Super-Heroes #18 (first appearance of the Guardians of the Galaxy team). 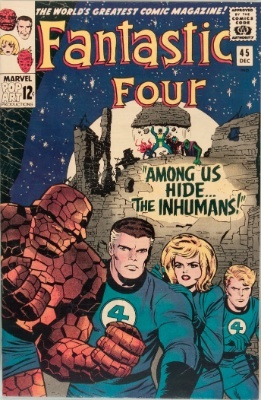 The above-mentioned next upcoming Marvel movie is still in the pre-production stage: the as-yet-untitled Fantastic Four reboot. 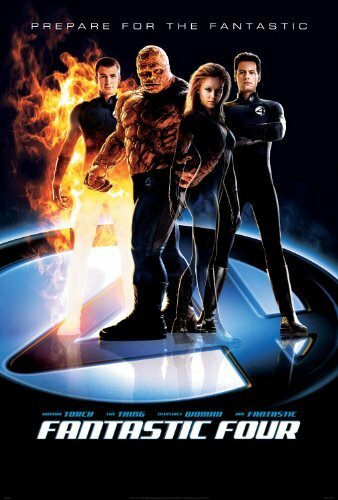 After the tepid success of the 2005 and 2007 Fantastic Four films (along with the legendary and never-released 1994 disaster), Fox studios decided to reboot the franchise so that it would connect with their X-Men franchise, just as all of the Marvel films are now intended to exist in the same "universe." Shooting is scheduled to begin in Louisiana later this year, with Josh Trank set to direct. As of this writing, the script is unfinished and no cast members have been announced, but the release date of March 6th, 2015 has been set. All the obvious books which could increase as a result of the 2015 FF reboot upcoming Marvel movie are already (as the Wall Street guys put it) "priced in" due to their evergreen appeal. 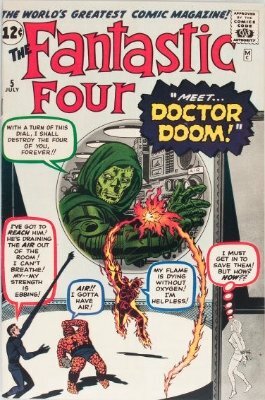 We'll still mention them, because they are never going to be bad buys: Fantastic Four #1 (first appearance of the super-team and the book which launched the Marvel Age of comics), and Fantastic Four #5 (first Doctor Doom). The affordable end of the market (in common with other Marvel keys) has seen the best gains. As soon as details of other villain (or hero) appearances leak out, there are bound to be others affected by the news of the appearances. Fox’s X-Men: Apocolypse is slated for a May 27th, 2016 release. No details are available about the film, other than that Brian Singer is set to direct it as a sequel to 2015's Days of Future Past. It is expected that the majority of that film's cast will return for this next installment. It's too early and there are too few details for comic book increases. 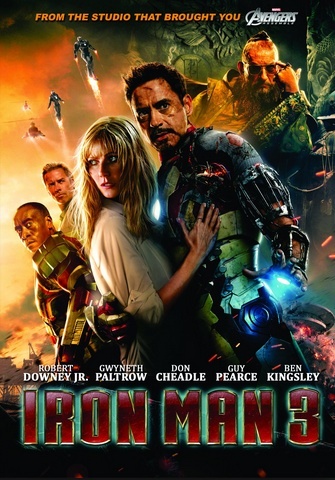 Robert Downey, Jr. as Iron Man, Chris Evans as Captain America, Mark Rufalo as the Hulk, Chris Hemsworth as Thor, Scarlett Johansson as Black Widow, Jeremy Renner as Hawkeye, and Samuel L. Jackson as Nick Fury. Joining the Avengers for this go-round will be Elizabeth Olsen as the Scarlet Witch and Aaron Taylor-Johnson as Quicksilver. James Spader is set to menace the Avengers as Ultron, Marvel's most malevolent robotic villain. Plot details have not yet been leaked. The boat has well and truly sailed on this upcoming Marvel movie! 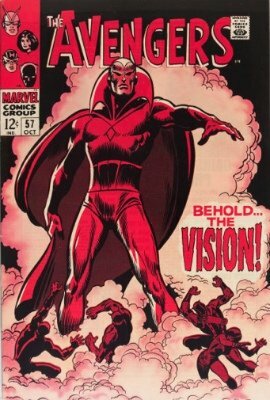 The most important Ultron books are Avengers #55 (first full Ultron) and the co-villain from the movie, The Vision, which first appeared in the now-hot comic Avengers #57. 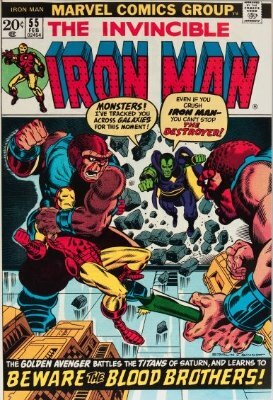 One hugely hot book which has probably seen most, or all, of its gains is Iron Man #55, the first appearance of Thanos. This villain will appear in both Guardians of the Galaxy and Avengers 2, which explains why its price has gone through the roof! Also in the works for 2015 from Marvel is the Ant-Man movie, set for a November 6th release. Paul Rudd is set to star as the Scott Lang version of Ant-Man, while Michael Douglas is lined up to portray the older Henry Pym, inventor of the technology that allows Lang to become Ant-Man. Edgar Wright is set to direct from a screenplay he is co-writing with Joe Cornish. No plot spoilers have yet come to light. 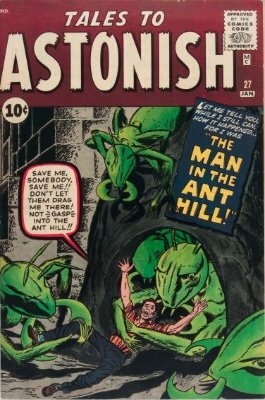 The key issue, Tales to Astonish #27 (first Ant-Man appearance) has jumped hugely, but another key, Tales to Astonish #35 (first Ant-Man in costume) is also gaining big time. There are several undisclosed upcoming Marvel movies for release in 2016 and 2017, while Columbia is banking on the new Amazing Spider-Man franchise to remain popular enough to spawn two more sequels, set tentatively for non-specific release dates in 2016 and 2018. 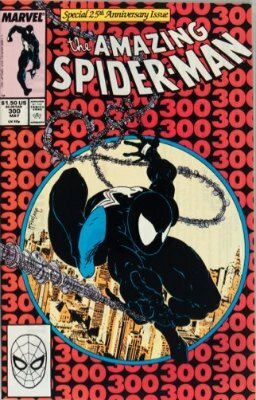 Any Venom movie confirmation would see the legendary Todd McFarlane issue, Amazing Spider-Man #300, jump further in value. Columbia is developing scripts for a Venom movie, as well as one featuring the Sinister Six, while Fox is in development on scripts for an X-Force film and a sequel to Wolverine. Marvel is said to be developing further installments for the Captain America and Thor franchises as well. Nothing but rumors are available about any of the movies in this category, and some of them will no doubt turn out to be little more than just that: rumors. 50 percent or more of movie projects with scripts in development never see the light of day, so perhaps we shouldn't hold our breaths. What About Upcoming DC Comics Movies? DC's films have not fared as consistently well. The Christopher Nolan Batman films were fabulously successful, with Heath Ledger's portrayal of the Joker in The Dark Knight becoming the stuff of film legend. 2006's Superman Returns was a reboot that failed to spawn a franchise, and Superman was again revamped in 2013's Man of Steel. The Green Lantern and Jonah Hex films are perhaps best forgotten. DC's fortunes have been such that only two films are on the horizon: the yet-untitled Man of Steel sequel (often referred to online as Superman vs. Batman) and a rumored Justice League of America film. DC and Warner Brothers have been talking about a Justice League of America movie on and off since 2007, with very little coming of it. Many scripts have been written and scrapped, and it seemed for some time that the project was dead. However, in light of the success of Marvel's Avengers movie, DC and Warners have decided to work on the JLA project again. Christopher Nolan, long said to be attached to the project, will not be on board. Zack Snyder has been posited as the most likely director, with David Goyer writing the script. The JLA film is now set to be a third sequel to Man of Steel, and Henry Cavill, Ben Affleck, and Gal Gadot are all said to be attached to the project. No word yet on which other JLA heroes will be included, or who will portray them. Nothing DC is talking about can rival the scheduled upcoming Marvel movies. They are just so far behind. That said, Warner Brothers has confirmed that the sequel to 2013's Man of Steel, Batman vs Superman, will be released on May 6th, 2016, after many delays and script issues. Zack Snyder will be returning to direct, and he is writing the script with David S. Goyer. After initially suggesting that the film would be an adaptation of Frank Miller's comic The Dark Knight Returns, Snyder has revealed that such an adaptation would require a complete reboot of Superman to fit in. Instead, Batman's character will be changed from what we see in the Christopher Nolan films to fit with this storyline. It will therefore take place in a different universe than the Batman movies. Henry Cavill will return as Superman, and (ahem) Ben Affleck has been cast as Batman. Perhaps DC has forgotten fans' reaction to Affleck's Daredevil. Ridiculous casting? Perhaps. DC Comics didn't got into the movie game with two Batman serials in the 1940s. Both were released in 15 chapters by Columbia Pictures, and both are probably best forgotten. DC wouldn't make a superhero film with legs until 1951's Superman vs. the Mole Men, which, oddly enough, was the pilot for the Superman TV show starring George Reeves that would air from 1952-1958. It was made by the now-defunct Lippert Pictures. DC's "golden age" of film began with the late-'70s/early-'80s Superman film franchise. 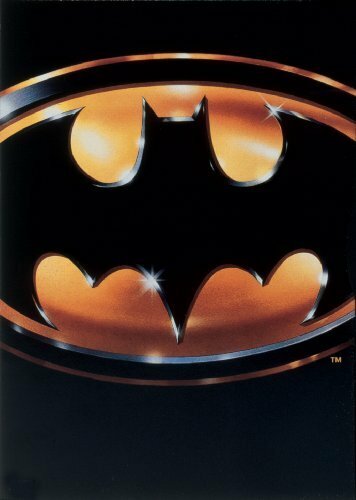 DC stalled a bit with Swamp Thing and Supergirl, but came back strong with the Batman film franchise of the late-'80s and early-'90s. Most DC comic adaptations have been made by the film division of Warner Brothers, DC's parent company. Superhero movies have come a long way since the early days of Superman, Batman, and Captain America serials in the 1940s. Heck, they've come a long way since the 1970s and '80s Superman movies and all the '80s and '90s Batman films. The market is there for upcoming Marvel movies, plus whatever DC gets round to, and the audiences are willing to buy tickets. There is no end in sight to this trend, and comic fans around the world are being cinematically satisfied as never before. In a way, we are living in a Golden Age for superhero films. Here's hoping it lasts longer than the Golden Age of comics did. All the rumors, all the price guides, all the clips! 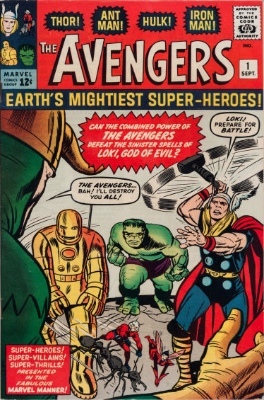 Learn the values of Golden and Silver Age Marvel heroes, and have your comics appraised FREE. The Winter Soldier and other upcoming Marvel movies have turned the spotlight back on key Bronze Age issues. Find out their values. Natasha Romanov, played in upcoming Marvel movies by the delicious Scarlett Johansson, stars in several key issues.